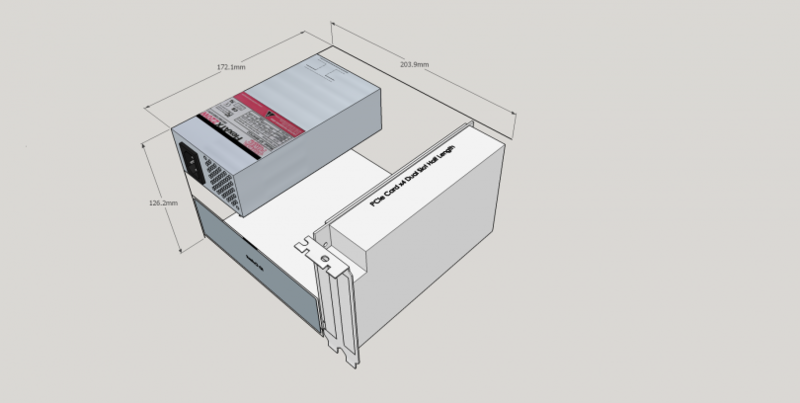 Continuing on from the previous article, we are now looking at how different PSU locations can change the size and cooling capacity or a design. In a Small Form Factor system, the power supply is usually the biggest component by volume. Once again, throughout this article I will be using standard component sizes and measuring internally. When taking into account materials, component tolerances, manufacturing tolerances and design elements, the size can grow markedly from the internal volume. I haven’t covered all possible layouts, but it should give you an idea what to consider. I’m ignoring drives for this, as this is only a guide. First up has the PSU sitting over the board. 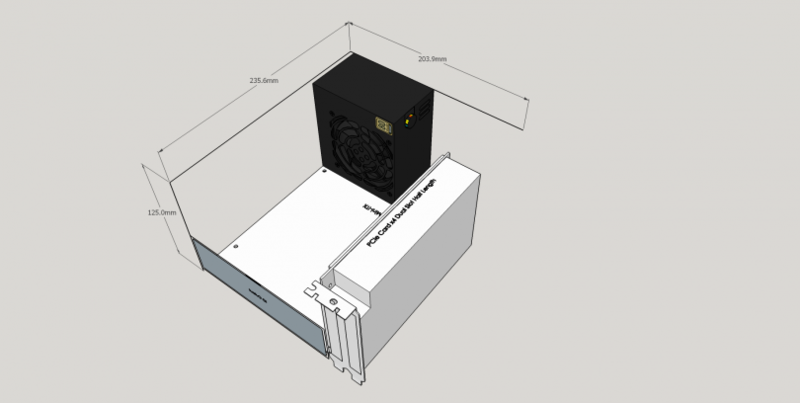 This requires a very short cooler, or a slightly taller top-down cooler with reversed fans. Because the layout has the PSU pulling air from the CPU area, I would recommend this setup be used only with lower wattage CPUs, as higher power CPUs may be pumping too much heat into the power supply. This layout is 4.23L in volume. This is your more traditional layout, with the PSU at the top of the board. 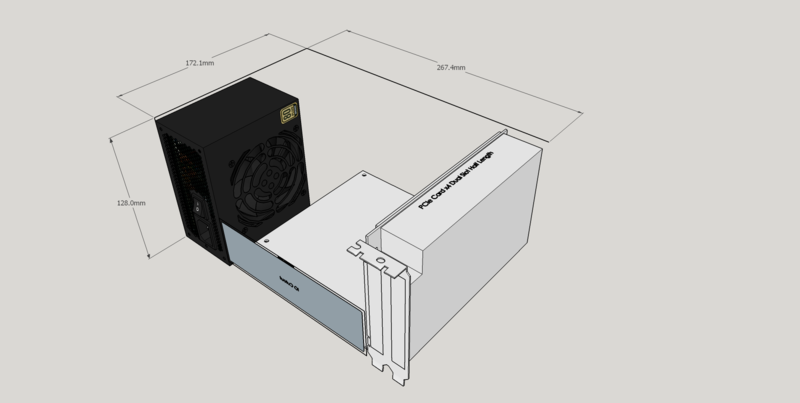 The power supply here will be pulling in less hot air from the CPU area, and you have unrestricted (depending on case design of course!) headroom for your CPU cooler. 5.89L is the volume of this particular layout. We’ve gained 1.66 litres, but better cooling. Once again, a bit bigger, at 6.0L. 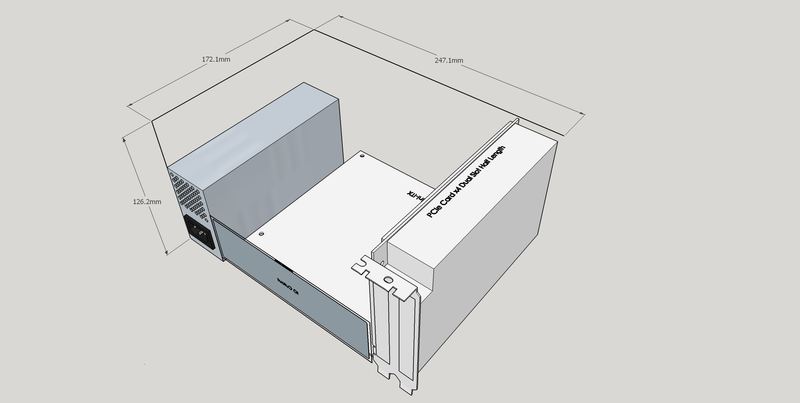 This layout would work for a shorter chassis, but has the disadvantage of having cables connect on two sides. 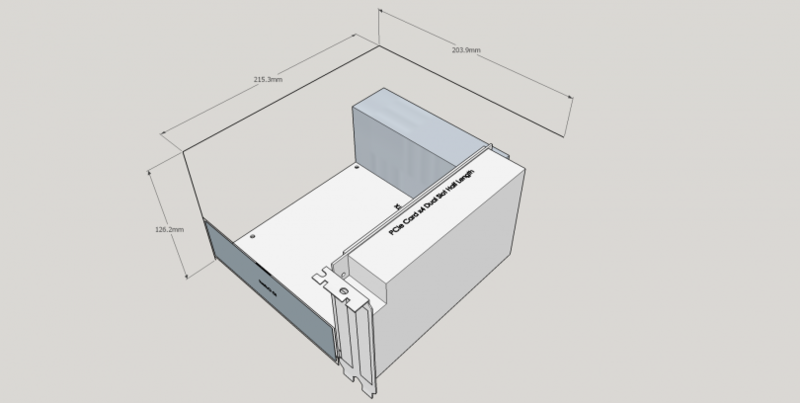 The best solution here would be a right angle power supply cable and design so that side of the chassis is facing down. You would also lose the ability to use front intake fans. Flex-ATX power supply time. 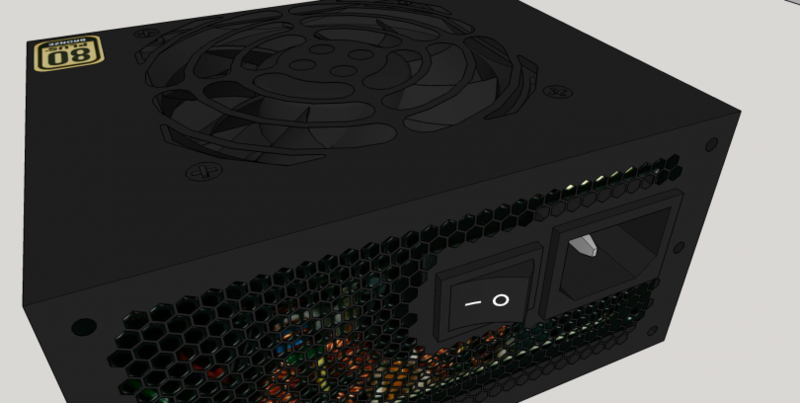 Due to the design of the Flex-ATX power supply, less air is pulled from the processor area. Obviously though, you would need room for air to enter the power supply at the opposite end from the power socket! This design is 5.37L. I’ve relocated the power supply to the ‘front’ of the board. Once again this layout would have the disadvantage of having cables connect on two sides of the case. Also, this restricts the use of front intake fans. 5.54L is the overall volume here. Moving the power supply top above the board, we have the smallest layout here at 4.43 litres.. 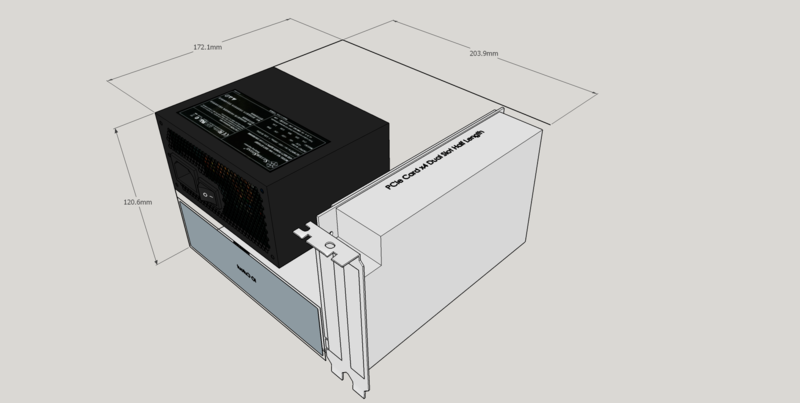 Using a Flex-ATX power supply enables another 20mm of headroom for the CPU cooler, however due to the cooling system of the PSU, the intake of the CPU cooler could be partially blocked.